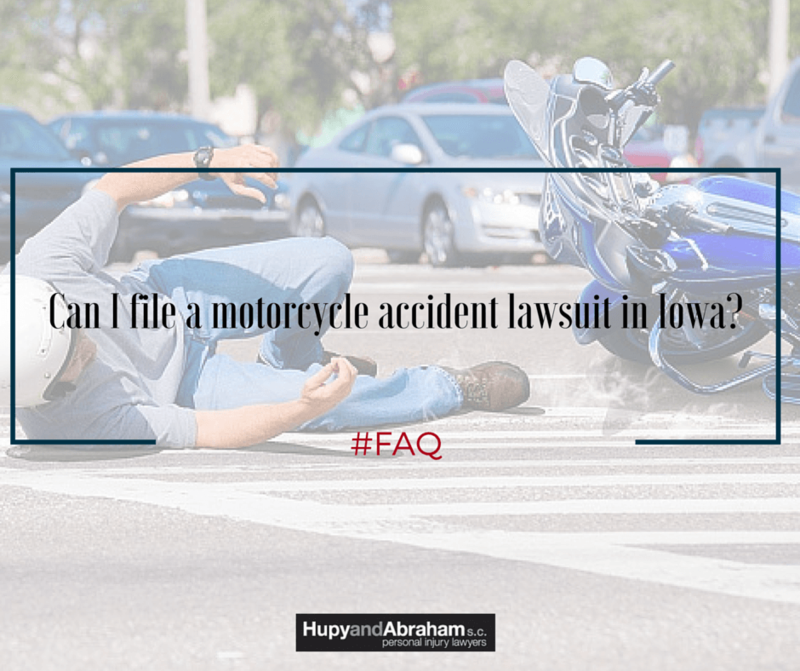 Standing to Sue in an Iowa Motorcycle Accident Case | Hupy and Abraham, S.C.
Can I file a motorcycle accident lawsuit in Iowa? Sometimes, the answer to your question is straightforward. If you were injured in a motorcycle accident that was caused by someone else’s negligence and you are a legally competent adult, then you have the right to file a personal injury lawsuit in an Iowa court after a motorcycle crash. You are the parent or legal guardian of someone under the age of 18 who was hurt in the crash. If your child was the rider or motorcycle passenger who was injured, then you may be able to bring a lawsuit on his behalf, because your child does not yet have the authority to bring a lawsuit for himself. You are the legal guardian of someone over the age of 18 who was hurt in the crash. Part of being a legal guardian may be having the authority to start legal actions on behalf of someone else who may not be competent to do so on his own. You are the personal representative of the estate of a person who died in the crash. In this case, you may be able to file a wrongful death lawsuit on behalf of the estate. Instead, you have the right to have an attorney file the case for you. When you hire a lawyer to write and file the complaint that will be filed in court, then you can be confident that all of the court’s requirements and deadlines have been met and that your legal rights have been protected. To find out more about beginning a lawsuit after a motorcycle wreck, please browse the articles on our website and start a free live chat with us now. What Can You Recover If You’ve Been Hurt in an Iowa Motorcycle Accident?